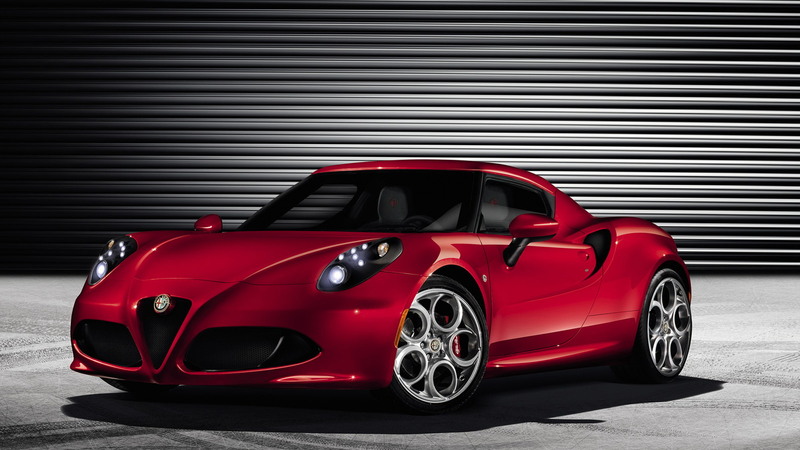 It was at the Geneva Motor Show just two years ago where Alfa Romeo first unveiled its stunning 4C concept car. Now, just a week out from this year’s show, Alfa Romeo has revealed full specifications for the production 4C, which heralds the return of the illustrious Italian brand on U.S. soil when it lands in showrooms later this year. 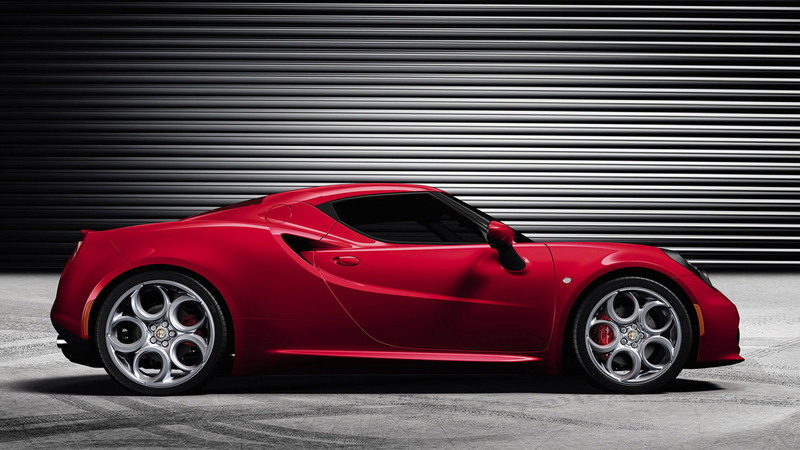 The production 4C, which will arrive as a 2014 model, looks every bit as breathtaking as the original concept, right down to its mid-engine layout and jet fighter-style cockpit. It also maintains most of the concept’s drool-worthy specs, including the turbocharged four-cylinder engine, 13-foot length and full carbon fiber monocoque chassis. Power comes from a direct-injected and turbocharged 1.75-liter four-cylinder engine, which rates at 240 horsepower. That may not seem like a lot but each of those horses has just 8.8 pounds to carry, which equates to a final curb weight of roughly 2,100 pounds. The engine features an aluminum block and special intakes designed to deliver a sporty note and good throttle response. Alfa Romeo also boasts that the engine features a ‘scavenging control system’ that said to get rid of any turbo lag. Drive is sent to the rear wheels only, with a seven-speed dual-clutch transmission used to swap gears. The transmission offers full automatic mode as well as a manual mode that relies on paddle shifters located behind the steering wheel. Performance estimates include a 0-60 time of around 4.5 seconds and a limited top speed of 155 mph. The handling, meanwhile, is taken care of thanks to lightweight aluminum suspension frames that get mounted to the car’s carbon tub. These feature double-wishbone and MacPherson strut designs. 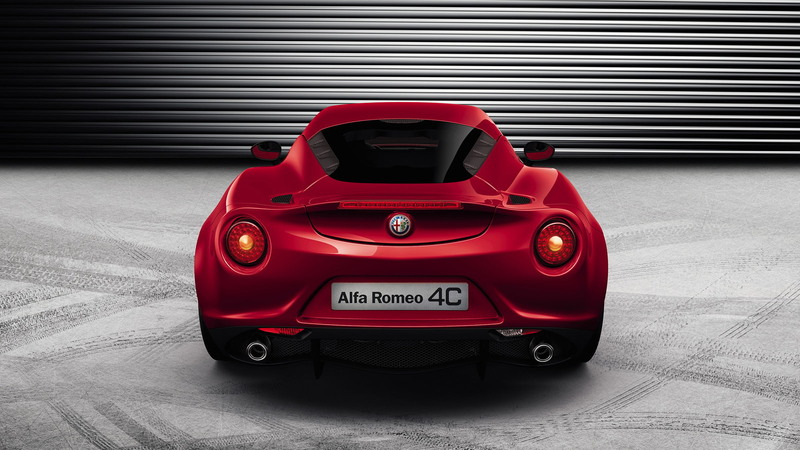 The 4C also comes with a driving ‘DNA’ selector, which will allow the driver to select from Dynamic, Natural and All Weather modes, plus a special Race mode. Inside, the 4C has two seats and a somewhat minimalist look for the dash. The design is driver focused and is accented by carbon fiber and aluminum. The center column, which is actually part of the carbon structure, has been left in full view to enhance the sense of uniqueness, technology and light weight. Overall length is just over 13 feet, while the wheelbase measures in at just under 8 feet, the width at 6.5 feet and the height at 3.9 feet. As previously reported, production will take place at a Maserati plant in Modena, Italy. Numbers will be limited, which means pricing could be set higher than the original estimates of around $45k. 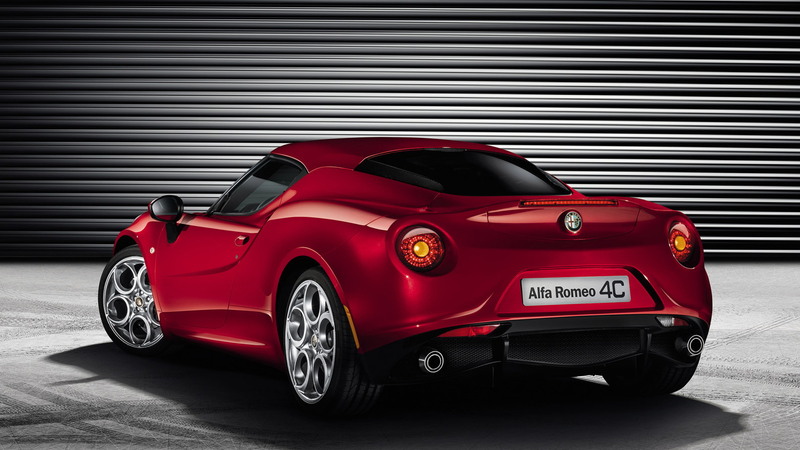 The good news is that a 4C convertible is also planned and should arrive next year. 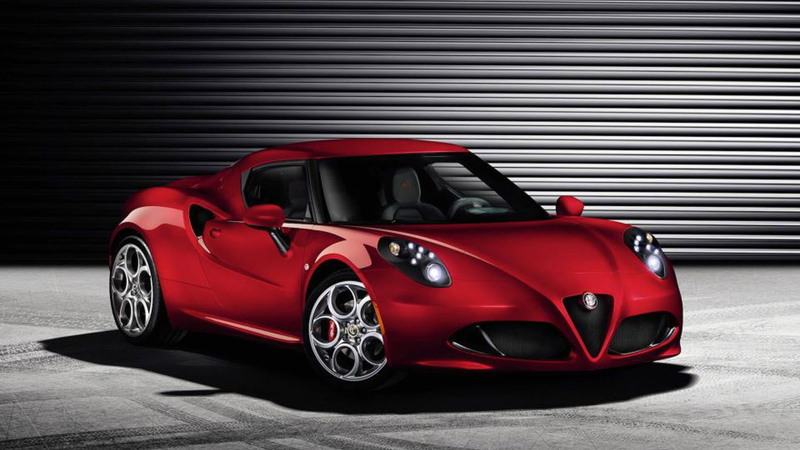 With the 2013 Geneva Motor Show kicking off on March 5, we'll have more details and live photos of the 2014 Alfa Romeo 4C soon. For our up-to-the-minute coverage of the event, click here.